In spring 2007, Scovill Zoo formed a local chapter of the American Association of Zoo Keepers (AAZK). The national organization formed in 1967 in San Diego, CA as a resource for zoo keepers to exchange information and continue their education. 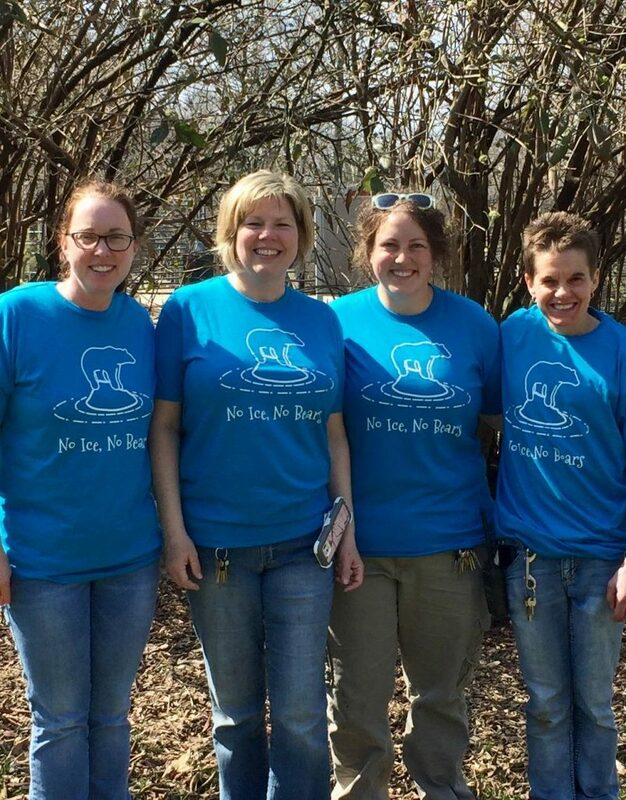 Scovill Zoo’s AAZK goals include assisting in conservation and animal protection efforts. Educational booths are also planned for Earth Day celebrations, Zippy Zoo Days and other zoo events. Scovill Zoo AAZK partners with the Macon County Conservation District on projects such as prairie burns, retaining appropriate foliage, ridding areas of invasive plant species, and monitoring blue bird nests. In summer 2007, the group raised funds to adopt an Anatolian shepherd, a breed of working dogs that is an important component of cheetah conservation in Namibia, Africa. For more information about Scovill Zoo’s AAZK chapter and upcoming events, please call the zoo at 421-7435. Did you know that today there are thousands of amphibian species in danger of becoming extinct? While some people might think “They’re just a bunch of frogs…big deal!” The truth is, they are a big deal. Amphibians play an important role in our fragile ecosystem. Without them there would be a lot more pests flying around our heads and potentially destroying beneficial plants and crops. Amphibians are also prey for other larger animals in the ecosystem. So not only would pests be abundant, but a chain reaction could occur, causing other animals to starve. By donating gently used items, you save landfill space and help the zoo conserve funds for the continued development of exhibits and programs. Equipment & appliances should be in good working order. Please call 217/421-7435. The fastest land animals in the world, cheetahs are a beautiful species whose numbers are dwindling. Cheetahs face many obstacles, including habitat loss, poaching, and competition with large predators. Most wild cheetahs in South Africa live on private land, where they are trapped or killed by ranchers, who often mistakenly blame cheetahs for livestock loss. 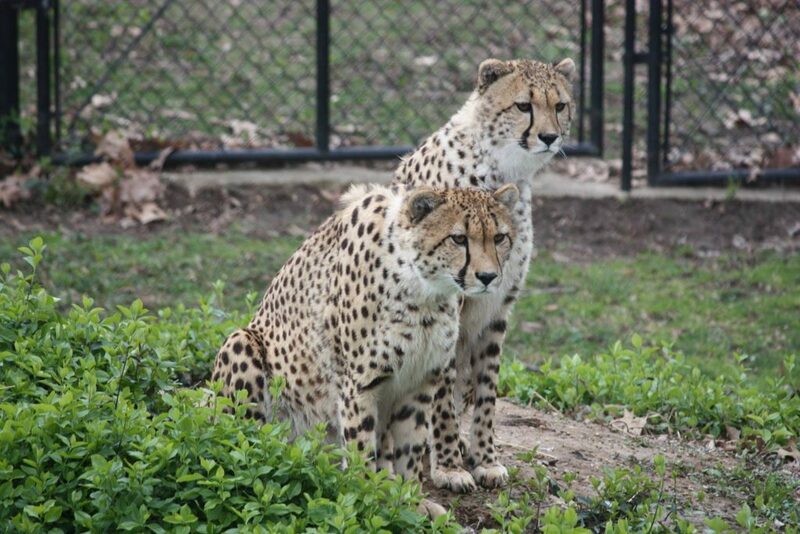 The Scovill Zoo community is working to help save cheetahs in the wild. Five cents of each paid zoo admission ($5,000 annually) is donated to the De Wildt Cheetah and Wildlife Conservation Centre, the native land of our South African cheetahs(http://www.dewildt.co.za/). Scovill Zoo’s contribution helps support the organization’s census study of free-roaming cheetahs in South Africa. To learn the size of the animals’ home ranges, cheetahs are radio-collared and tracked from the air in an ultra-light aircraft. Farmers are surveyed to learn how many cheetahs roam their lands. The goal is to determine how many wild cheetahs remain in South Africa, where they live, and how conflict can be lessened between farmers and wild cheetahs. Scovill Zoo strives to help save the world’s fastest land animal from extinction. If you want to help save the cheetahs, send your tax deductible contribution to: De Wildt Cheetah and Wildlife Trust, c/o Carlson Springs Wildlife Foundation, 8528E County Road 225, Gainesville, Fl 32609; Wildlife Conservation Network, 25745 Bassett Lane, Los Altos, CA 94022 or Cheetah Conservation Fund, 711 Quail Ridge Road, Aledo, TX 76008. Visitors to the zoo can also help save our nation’s rainforests. By feeding the Conservation Parking Meter at Scovill Zoo, visitors contribute to save the Rincon Rainforest in Costa Rica. It is 13,838 acres along the north edge of the eastern part of the Area de Conservacion Guanacaste, in northwestern Costa Rica. The Center for Ecosystem Survival has modified ordinary street parking meters to accept donations of small change to save habitat. Instead of a violation flag appearing when coins are inserted and the dial turned, a colorful hummingbird flies across the face of the meter. The meters are installed in accredited zoos and aquariums, natural history museums, botanical gardens, conservatories, and nature centers throughout the United States. The parking meter is Scovill Zoo’s way of helping the Center for Ecosystem Survival. Together, we believe in caring for the earth as an investment in all of our futures. To date, the center has raised more than $2 million to save wildlife.You may also Adopt an Acre or even Adopt a Reef. For more information, check out www.savenature.org. Your support with an adoption or with your pocket change in the Conservation Parking Meter will help ensure the survival of millions of species of animals and plants throughout the world.